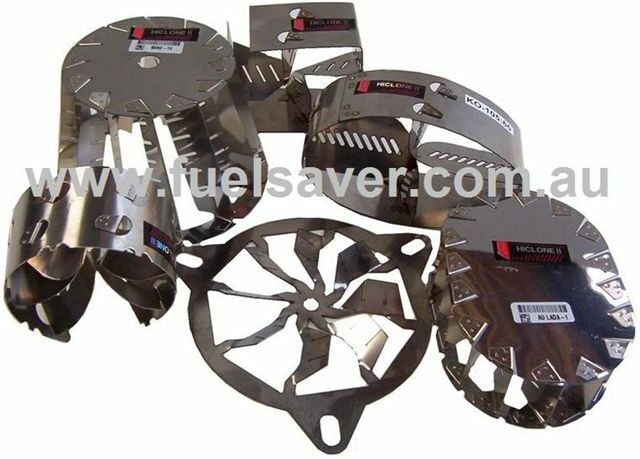 Hiclone is a simple non-moving and maintenance-free device make of stainless steel, which fits inside the air filter housing of a carburettor or in the air induction hose on EFI, turbo, LPG or diesel engines. This creates a swirling cyclone, or tornado like effect, to the airflow into the intake manifold and combustion chamber of any engine. Why Don’t Car Manufacturers Use It? 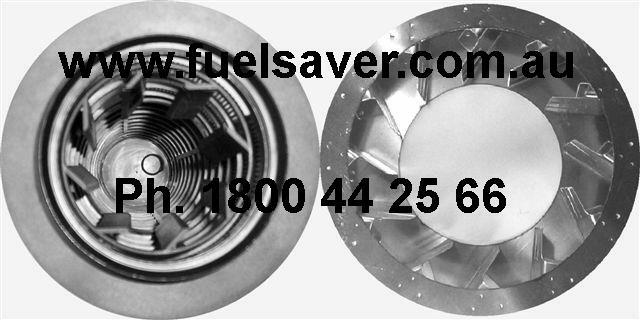 They Do - Hiclone has been on sale in Australia since 1989, and is the only fuel saving system to be copied by car manufacturers. The new generation of Direct Injection Petrol & Diesel engines, from all the vehicle manufacturers, now relies on Swirl Technology in their inlet manifolds to improve their engine efficiency. 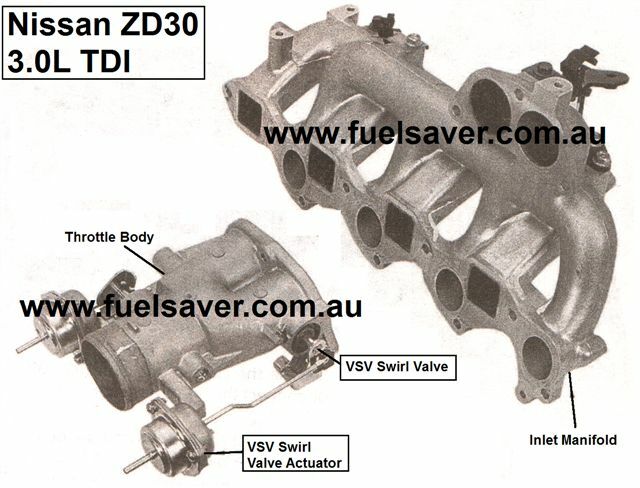 In 1998 Nissan introduced the ZD30 3.0L TD engine with swirl valve at the entrance of the inlet manifold. This had a “Y” shaped throttle body with a conventional throttle disc at the single inlet end, & Swirl Valve at the twin outlet end. 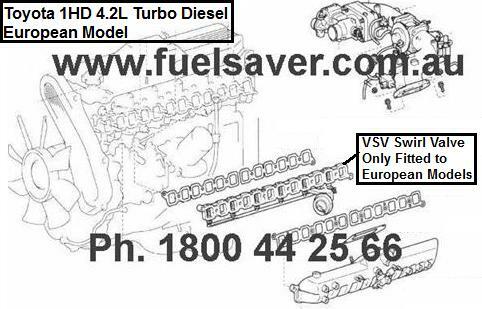 In 1999 Mercedes fitted VSV valves in their inlet manifold on their 4, 5 & 6cylinder Diesel engines to reduce emissions. In 2000 Subaru fitted Swirl Valves to their Japanese, European & USA model WRX for improved emissions & also had 10% better economy than Aust spec models. In 2002 Toyota Europe had VSV valves installed on the local 1HD 4.2L TD engines in an additional spacer block between the inlet manifold and cylinder head. In 2003 Mercedes fitted Swirl valves in their new V6 Petrol engines & achieved 18% better fuel economy & 54bhp more power than the previous engine. This new engine still had the dual length manifold runners of the previous engine. But now has additional Swirl Valves which poke out into the airflow, causing it to spin & improve mixing for better Economy & Emissions. Also in 2003 Mercedes fitted a swirl devise inside their air filter on their Diesel engines. This part was fitted between air filter and turbo, to increase power. The 2002 E270CDI with flat panel air filter & Swirl devise (VSV) only fitted in the inlet manifold had 120-125kw. The new 2003 E270CDI was still fitted with same VSV valves in the inlet manifold as previous model. But now had a new Swirl devise fitted inside the round air filter, it then achieved 130kw. The picture shows the similarity between this 2003 Mercedes part & our original 1989 Carburettor style Hiclone. Since 2004 Toyota now has VSV valves in the inlet manifold on the Common Rail D4D 1KD 3.0L TD engines. 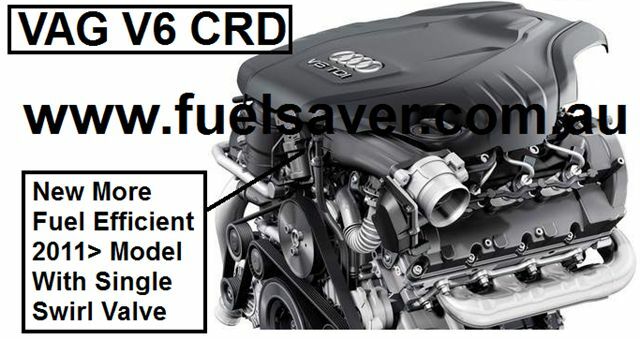 In 2011 Audi, VW & Porsche have dramatically improved the economy of their new 3.0L V6 TDI by up to 1.5L/100km. In the inlet manifold there is now a single central swirl flap that swirls the air into the combustion chamber for efficient combustion, particularly at low engine speeds. The new single Swirl Valve is located further from the combustion chambers. This now replaces the individual swirl valves in the intake ports of the previous engine. We have stated for many years that having a single swirl devise for each cylinder is not as effective as a single swirl devise affecting all the cylinders. Unless the Inlet Manifold Runners are very long, the multiple swirl units are located too close to the combustion chamber for the swirling airflow pattern to take full effect. Distance from the combustion chamber helps form a stronger, more consistent swirling airflow pattern. On Hiclones designed to fit inside hoses, we find the Swirl pattern needs to travel a distance of around 75mm past the Hiclone before it concentrates its force, & forms its full Cyclonic effect. So it is not correct to place Hiclones too close to each other. There are people who argue that Hiclone should be in the manifold, and that there should be one for each cylinder. We also had these theories back in the 80's, but we put these theories to the test on a V8 engine, with a modified inlet manifold we experimented with long & short trumpets inside the plenum housing, with Hiclones fitted inside the trumpets. What we found was all engines draw airflow in a series of pulses (the firing order of the engine), the more pulses per revolution, drawing air through one Hiclone, the more consistent the airflow pattern, which is generated, per revolution of the engine. So it is better to have one Hiclone at the entrance of a manifold than to have 8 separate Hiclones in the manifold. The 8 parts would need the engine to be at a much higher rpm for the airflow pulses to become more consistent per cylinder. So from a customers cost-point-of-view, when fitting more than one part, it is better to place the Hiclones with one at each end of the same pipe (in series), than to fit one for each cylinder (parallel). Our test engine had, in total, 12 Hiclones installed, including parts in the Exhaust pipe (but this is much more difficult to fit). On this test engine we even added a pipe between the throttle body & the inlet manifold, so we were able to fit Hiclones in “series”, before & after the throttle body. This was to disprove another common theory that the throttle disc would interfere with the swirling vortex effect. Our test engine proved the same as our previous flow bench testing, 90% of the airflow follows the trailing edge of the throttle disc. It is not until the disc is approaching full throttle that the airflow splits to both sides of the disc, and very few road cars use full throttle for most of the time. So for the majority time the engine received the full swirl effect. Any reduction in swirl noticed at between 80% to full throttle could be removed by either moving the Hiclone closer to the throttle body, or placing a second Hiclone as close as possible to the throttle disc. It is also possible to change an engines power band according to the Hiclones placement. The dyno graphs on this web site for the Early Commodore V6 & the Mazda MX-6 both have their Hiclone located close to the throttle body, the graphs show most of the power gain was at full throttle, high rpm. The other vehicle dyno graphs have the Hiclone located closer to the air filter to improve the power at lower rpm & more torque. Our test engine, with 12 Hiclones developed between 270-320hp (it had programmable ECU with both Power & ECO programs) & this engine was capable of 38mpg. Another Hiclone myth is the claim that Hiclone is a restriction? Hiclones are placed in the largest diameter section of the engine inlet system. The manufacturer’s copies are placed in the inlet ports, which are the smallest diameter point of the inlet system! This is even worse when it comes to LPG Conversions - For example a Hiclone for a Holden Commodore V6 late model is 83mm in diameter; the throttle disc is 60mm in diameter, so the Hiclone is 23mm bigger than the throttle body. Yet a LPG (gas) installation on this same car reduces the hose down from 83mm to 35mm & no one labels this a restriction! This airflow restriction then forces the driver to only use LPG, as now the engine performance on Petrol is now worse than standard. In a carburettor engine where mixtures have been very precisely set, the increase in airflow can actually cause a flat spot which some people misinterpret as a restriction, as below. 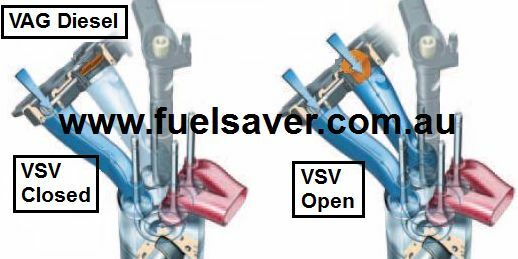 But with most mechanical fuel systems, the fuel mixture becomes richer with age, & modern Electronic Fuel Injected engines (Petrol & Diesel) adjust their own mixtures to match the Hiclones effect, which generally takes around a week of normal stop/start city driving. Customer inquired after fitting Hiclones - Twin cylinder bike (Triumph 05 865) running Keihin 39mm FCR flat-slide carbs which are perfectly synced and have also been checked for equal throttle opening at full throttle.– The overall difficulty I am having seems to be a massive amount of loss of flow or turbulence after around 6,000 rpm which gets worse as revs rise. There is also a strange surge on back-off at this point. The issue was not there before fitting these Hiclone devices. Our Reply – Our customers with racing bikes sometimes find there is a transition point in the rpm range, which can cause a flat spot, which they misinterpret as a restriction. The normal cause is the mixture leaning as the air velocity increases, normal cure is to increase mixture at this point up. With outboards and two strokes we have to drill out or fit larger, main jets. Customer reply - OK. That makes sense if a little surprising that this device makes that much difference to flow. It may be worth sticking a note in the package as without a dyno feels like a reduction in flow and is kind of profound – in the absence of being explained. Now it is very impressive as I have raised 2 sizes and needs another (mains from 150 to 157.5 perhaps 160). Very impressed with extra bottom and mid-range as well as higher revs. Manufacturer’s copies or adaptation’s of our original design, still benefit from installing more parts. There are also many other companies trying to make fake Hiclones, mostly very unsuccessfully, they do not understand the processes we went through to develop this product. In some ways you could draw a parallel with the Dyson vacuum cleaner. Dyson understand their product so well that they need no filters. But many people copied it, and also need additional pollen filters. Copying does not equal understanding; the original will always be the Best. 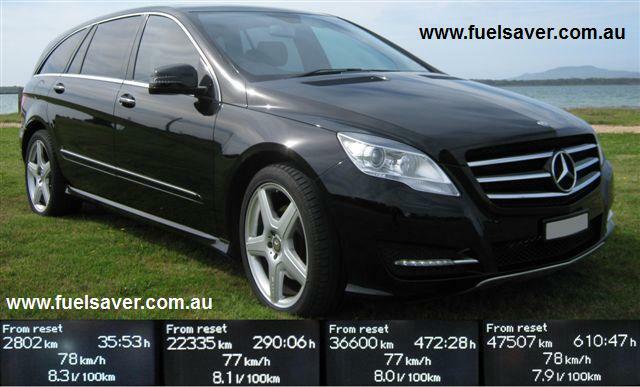 Our current model 2.3ton, Mercedes R350CDI 3.0L V6 Turbo Diesel AWD (4WD), with a stated ADR fuel economy of 8.5L/100km. Fitted with 2 Hiclones & our MorePower engine tuning system (Before 195kw & 620Nm – After 224kw & 725Nm). This vehicle now has had a combined (measuring every drop of fuel & km travelled since new) average fuel cons for the past 47,000km of 7.9L/100km. 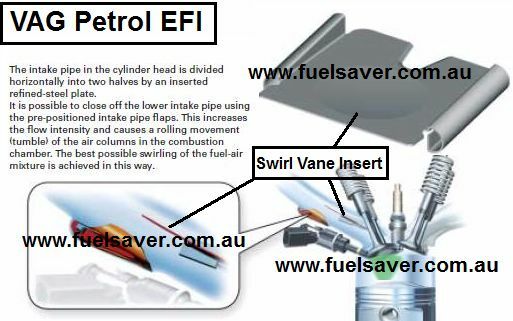 Most people never achieve their ADR fuel figure, but we have consistently achieved better economy, on a vehicle already fitted with advanced fuel saving technology (incl 6x Variable Swirl valves). Most people with the same car as ours struggle to get better than 10L/100km. Hiclone is a non-wearing part, which will never need replacement, or maintenance and it will not harm new car warranties; there is a law, which prevents vehicle manufacturers from doing so. 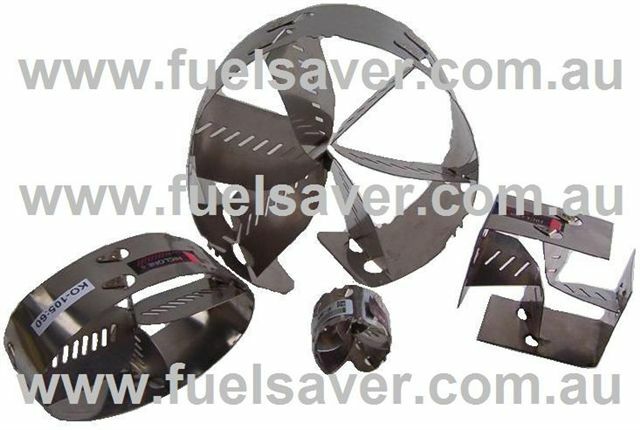 We do supply new car dealers, who sell Hiclones to their new car customers. We design and develop Hiclone units for almost all applications; we also created the fitment catalogue used by all Hiclone agents in Australia. We provide technical support services to our fitting stations, which are located in most areas of Australia. If your vehicle is non-standard, or on gas, our experienced staff will be able to find the correct solution for your vehicle. 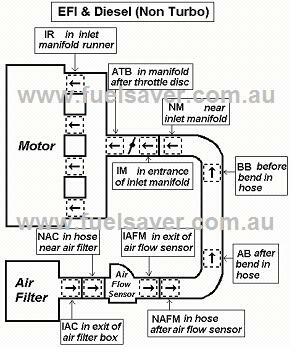 We have over twenty years experience working with the dynamics of airflow for engines. There are over 300 fitting stations available within Australia. The location for installing Hiclone units to different vehicles is critical to the results you can achieve for your vehicle. When we choose the optimum locations to achieve the desired results, we also have to consider information like the bore to stroke relationship of the particular engine. Our official fitting stations always have access to this information. This will save you, our valued customers; time, money and inconvenience. For mail orders always contact us direct. Our technical team has the only people who know what your vehicle’s engine looks like, so we can give you specific instructions on your particular vehicle. Hiclone helps improved economy, increased power, reduced engine emissions & noise, and it is easy to instrall.